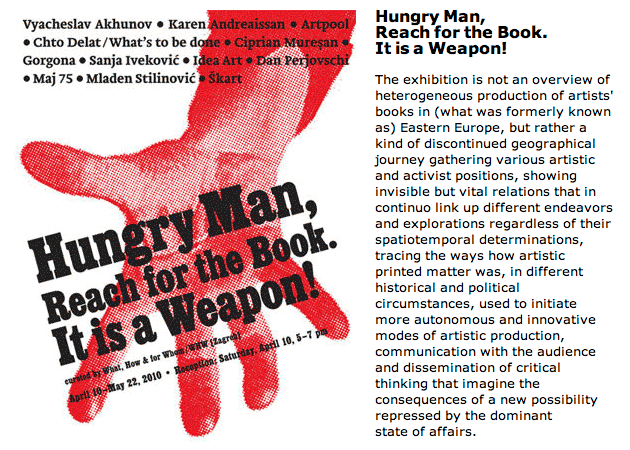 Artists in the Exhibition: Vyacheslav Akhunov, Karen Andreassian, Artpool, Chto delat / What is to be done? Sabina Sabolović , and designer and publicist Dejan Krsić. Book presentation in Írók Boltja at 25 May 2010, 4 p.m.